Blog > April 2012 > How to Look Like an Idiot, Over and Over Again. How to Look Like an Idiot, Over and Over Again. melted my chin, either. Look, I'm not photogenic. It doesn't get much better than this. At this point, I look like a little boy after the 'big kids' stole my ball, the puffy lower lip, comic brows, hands in pockets and kicking at dirt. Sniffles. Over the years, it's slowly turned into a kind of eroding comic routine that forget about, even though I'm frequently an actor. TU250X, pretty good looking for 4k. I'm not trying vilify my loving, practical wife, the beautiful woman whom I adore. The person, without whom I would find myself alone and grease-streaked, drifting through a field of derelict parts with nothing but a box of saltines and government cheese to fill my belly. It's good to be grounded. In my head, it happens faster – and is a bit more intelligible (a bit.) Form the premise: A 250 would be an in-town streak of agility, a daily runner to work, to the store for small purchases, something easy to park and cheap to run. The kind stripped-down machine that exemplifies some of motorcycling's core attributes in the urban environ – agility, flexibility, utility. Hell yeah, perfect. This needs to happen. Alright. So, with all those machines, something can be sacrificed, right? There must be one that could be left on the altar? It would make sense to sell the machine that a glorified scooter closest resembles. 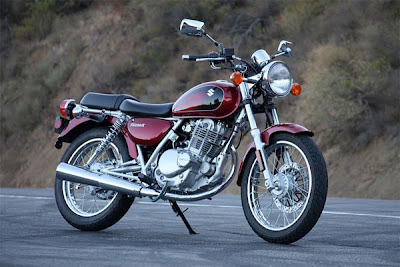 Even though the Honda (1978 CB550K) is the smallest displacement, it is not, by any stretch of the imagination, the embodiment of agility, utility, or flexibility, unless anyone considers a blue smoke screen of some utility. That means, the most likely candidate would be the '06 F650GS. Aside from being sacrosanct (formerly the ride of a friend lost to depression) there are many practical reasons why it makes the cut, or doesn't make the cut, or whatever, I can't sell it. I'm not very good with sports analogies that started out as farm analogies. First, you can't beat BMW for practicality or reliability, even with its quirks (an oil change costs 946 Deutsche Marks, or requires the book, a special set of wrenches and draining from three locations, a copper crush gasket, SJ oil and three grams of narwhal tusk [or synthetic replacement]) Quirks aside, it comfortably and cleverly captures the very nature of the two-wheeled spirit. In ways, it makes me think of the early days of motorcycles reborn – those golden days when machines were for enthusiasts, and this one is built high to ride above any terrain (and I suspect, look down on others...) it goes anywhere, does anything and does it with grace and class. It's gone cross country, battled on the interstate, dodged bales of hay and dug trenches, it's light, nimble, rugged and all motorcycle. Nice thought, but there is no way I could sell that, not for a 250, not for anything – to hell with that. Inevitably, the '78 Honda is next. Selling this thing should be a no brainer – it's let more blood than a medieval barber and has cost me more than Deepwater Horizon, in terms of grief, environmental impacts and the funds that have been flushed trying to push back its inevitable implosion. It's not easy to love, It needs the oil changed every 2,000 miles – which was good, I suppose, in the mid-70s, but at this point, nuh-uh. (Shakes head.) Of course, if it were comfortable enough to drive any real distance, it might actually be a problem, but when you mix the maintenance with the grace and handling of a Panzer Tank, well, that's my Honda. If you can't justify it in any other way, a 'gently used' cb550k is worth about as much as a palate of powdered cat piss. Even if you throw in the (boxes and boxes and boxes and boxes of) spares, it won't fetch more than a working lava lamp. And besides, I like having all that stuff, what if 17 old Hondas come through looking for blinker covers? I should be ready! Unless a pristine '69 Bonneville shows up, there is no chance in hell I'd trade that thing away. So, that leaves the '09 Concours, the first vehicle I ever bought off the showroom floor. It's the biggest, most reliable and most wind resistant bike in the stable, and if I sold it on the eve of moving to Kansas – a state that produces over a fifth of the nation's wind and whose roads define the dictionary entry on parallel lines, I think I would see the kind of stars that show up when glass bottles make contact with skull. Trade a 1400 for a 250 under those conditions? Plus it's only 420 miles to the in-laws, ever ride a 400 miles on a 250? Guh. Even if that weren't the case, I'd have a hard time letting her go – I'm not overly sentimental about the Kaw, I've got plenty of that for the Honda and the Beemer, but this one, well, she goes anywhere. (Anywhere except off road, God, don't bother.) And, of course, it's as much raw motorcycle as anything. A touring machine that can eat up thousands of miles of asphalt, but one based off the Kawasaki's flagship superbike, a machine with a nuclear reactor in its chest, it's got that powerful, lunatic, virile appeal, all the 'raw meat' insanity motorcycles can represent. Riiiight.. I'll sell that one. I'll just keep trying the way I've done, and keep gibbering my way out of it, cause for the moment, it's all I've got.